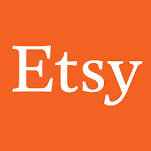 Etsy is seeking the Engineering Director the Native Mobile, App-First team. In this role you will with experienced engineering managers, engineers, product & designers to deliver exceptional experiences on iOS & Android. Millions of users rely on Etsy apps on a monthly basis & your work will be seen & used by some of Etsy's most loyal sellers & buyers.